A fair open to the public with various craft vendors. Will be held in Scott Hall, the Huntley Room and the Courtyard. Both parking lots are reserved for attendees and vendors. 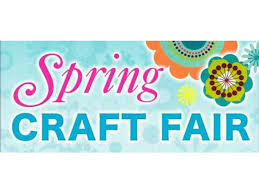 We seek exhibitors with high quality, original handmade items, artisans and boutique items such as quilts, pottery, glassware, jewelry, soaps & lotions, candies, breads, home decor, graduation and Mother’s Day gifts.